When music comes and you receive it, when movement comes and you go with it... - so the dance comes and it awakens us in everything from our living cells to our core life force. The five Rhythms of Flowing, Staccato, Chaos, Lyrical & Stillness are ways of moving and being: a meditation structure and a spiritual practice accessible to any body and every body that wants to move. 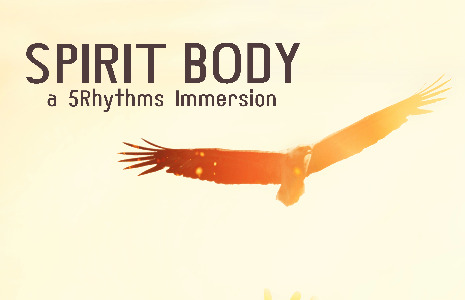 This immersion is an invitation to engage in focussed, sweaty study of the 5Rhythms, and to explore the vast, funky and transformative landscapes of the dance. All welcome. Bursaries available for those lacking financial resource: please get in touch. This immersion can be taken as part of a ‘The Way of the Dancer’ year-long journey.